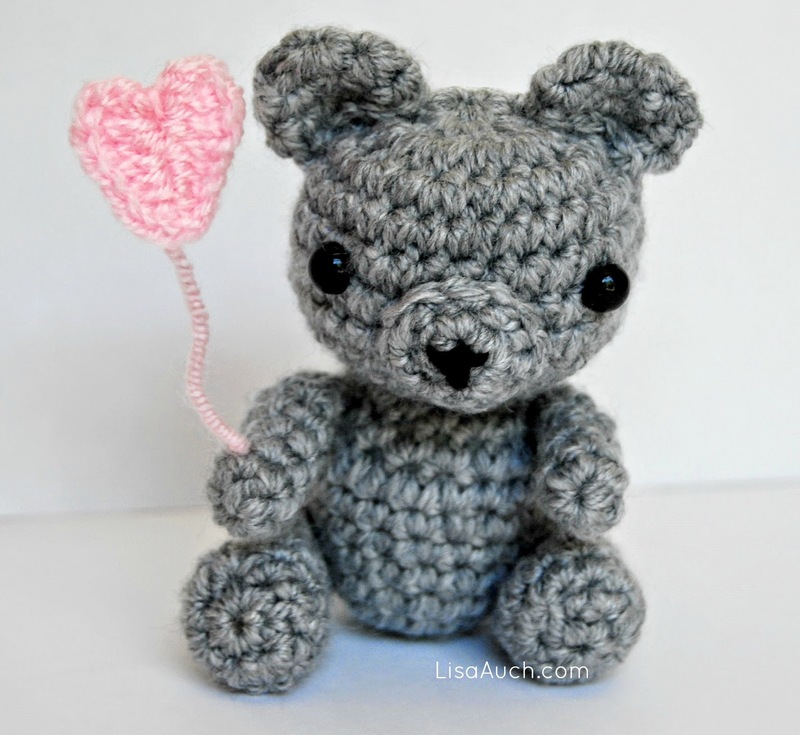 This little amigurumi tiny crochet teddy bear is just adorable, making him the perfect crochet project to make for your Valentine. at Any time of the year. I loved making him and quickly jotted down the pattern so I could share it with you. 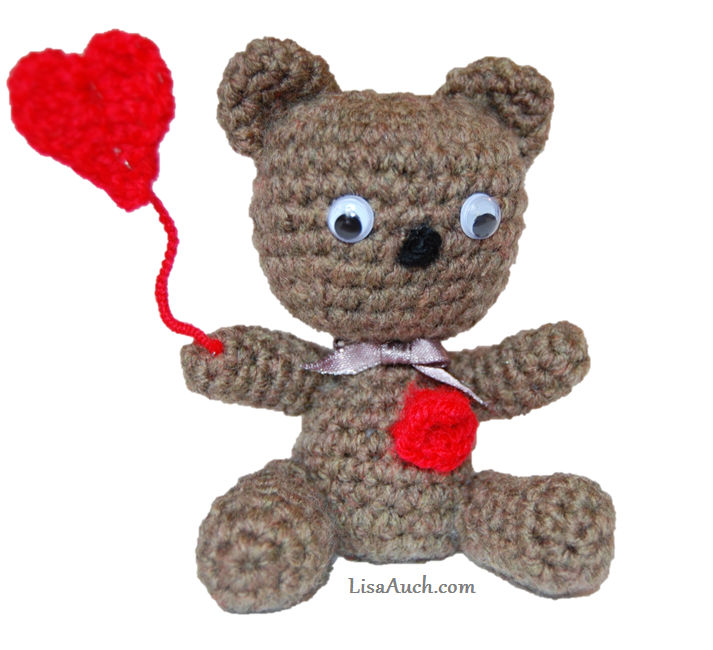 Baby Bear Heart is what I eventually called this little creation who stands 4 inches tall. 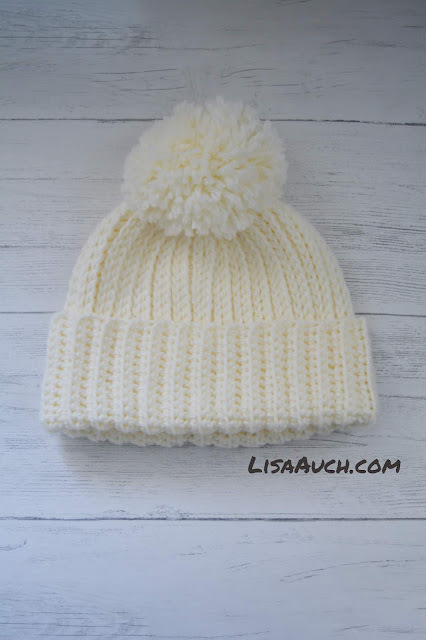 Working with yarn in this way is fun, and you can become very creative, but it can be tricky, so you should be capable of working with tight stitches and in small rounds. I also suggest learning magic circle, and invisible decreasing. I will be making a whole load of these to make and sell for the craft fairs I bet they would go like hot cakes. Great stash busting project, and you could change colour for his middle bit, or even stripes! Tiny ted is a really quick project to make too. I used a 2.50mm hook, and a dark brown double knit yarn (this gives the teddy a lovely finish, so that when you fill him his stuffing does not show through. If you want to make the little heart on a string you will need some red yarn and thin wire. 2sctog= work 2 single crochet together to decrease. Rnd 1: Work 10sc, into magic circle. fasten off and stitch the 2 ends together to make a semi circle, I usually pull slightly and gather this part to help create a shaped ear, Leave a long tail and leave to the side, for when you are ready to position the ears and sew to head. Position legs to side base of body, secure with pins and sew together. Position arms to sides, just below neck. 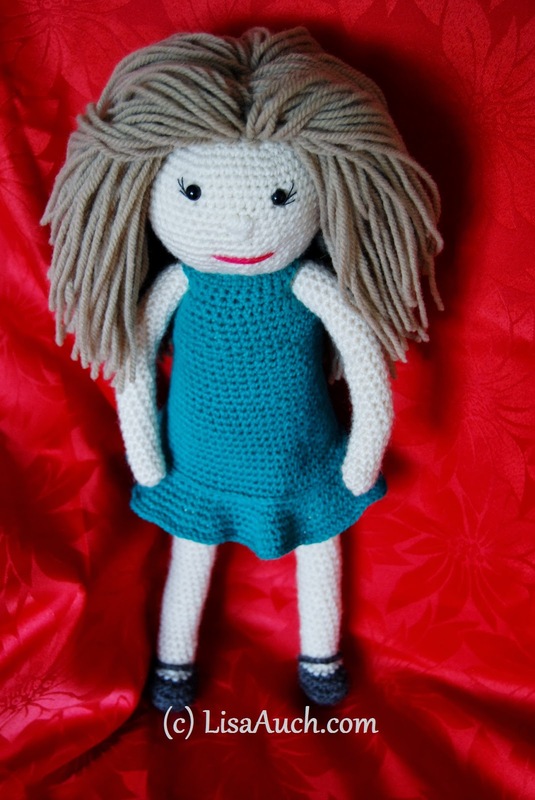 Sew Eyes and create a little button nose with blank yarn. And sew into position on face. Chain 5, 3dc in 3rd chain from hook, 3 hdc, in next stitch, chain 1, (do not turn work along the back on row just worked hdc), sc, 3 hdc, 3 dc in last stitch , chain 2, slip stitch into middle of ring created. sc 6 in a circle and finish off when sewing onto teddy shaped into a heart.